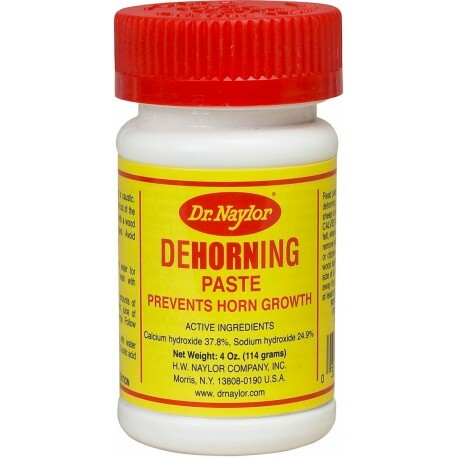 Dr. Naylor's Dehorning Paste provides a quick, economical method of dehorning young animals at any time of the year. One application over horn button does it. No cutting or bleeding. Use as soon after birth as possible up to 8 weeks old. 1 bottle will do approx 45 calves or 60 kid goats. 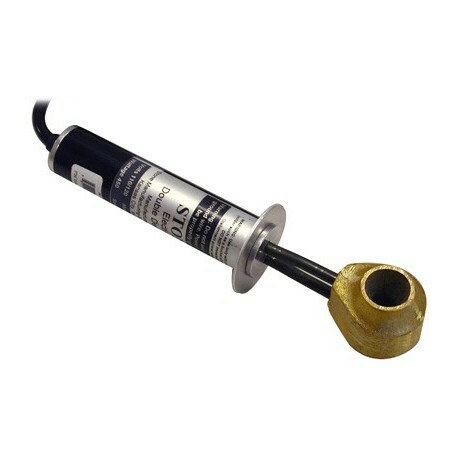 Stone Tube Dehorner with wood handle 1"
The Tube Dehorner from Stone Manufacturing is for removing horns on small calves up to about four months of age. Place the cutting edge straight down over the horn; press down and twist first one way, then the other, until you cut to the skull; then turn dehorner at 45° angle and shove the cutting edge under the horn. Wood handle. 1"
AgriPro - Cutting blades made of high-grade tool steel. Cutting edges on inside permit operator to cut out horn button. 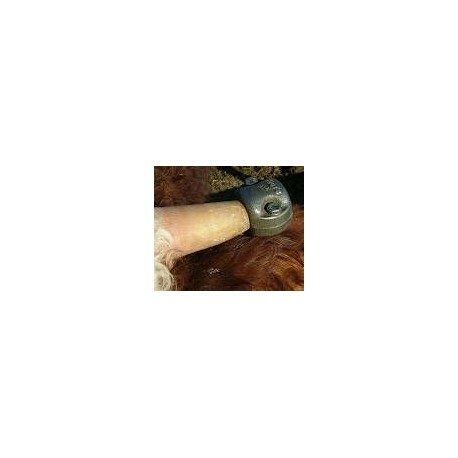 To prevent stub from growing out, a ring of skin should be removed to ensure successful dehorning. 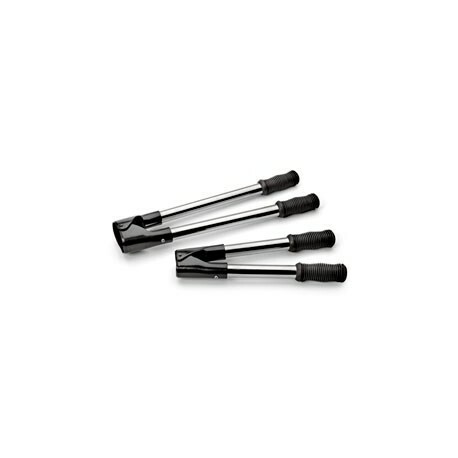 Heavy construction, chrome plated, with metal handles. Lg will cut up to 1 1/2" diameter horns. 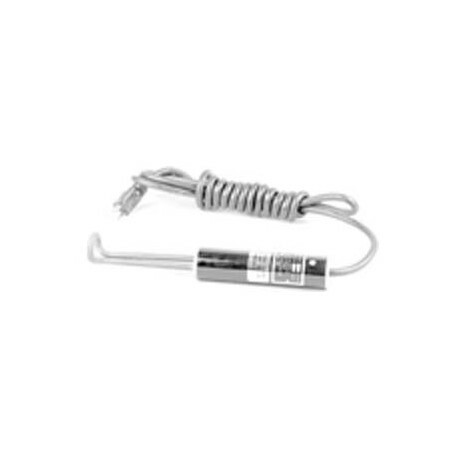 For use in tying-off arteries or pulling arteries and in suturing wounds or tissue following operations. Stainless steel. Imported. 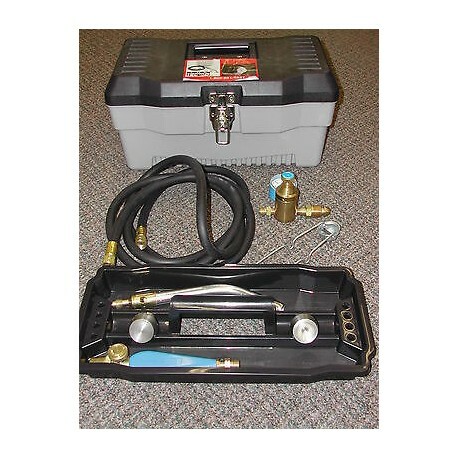 5 1/2"
Completely portable cordless gas heat debudding. Runs on ordinary butane lighter fluid. 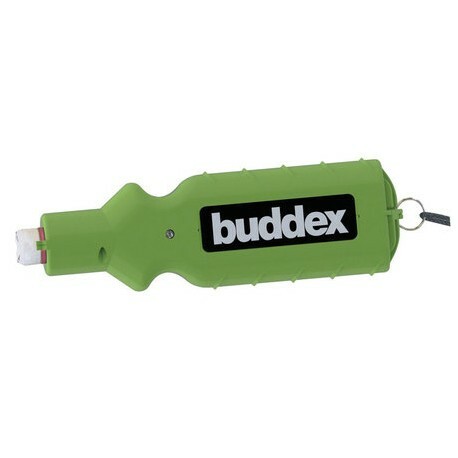 Use on buds early when bud is less than 30 days old. Clip hair off and push dehorner on for 10-15 seconds. Horn bud and scab should fall off in 4-6 weeks. Uses Butane ..not included. Heavy cast iron with unique locking feature to keep weights in place. Four sizes, available in pairs. Two-piece clamp type. 1/2 # size - openings 3/4" and 1'' 3/4 # size - openings 13/16 and 1 1/18" 1 # size - openings 7/8" and 1 1/4" 1 1/2 # size - openings 1" and 1 3/8"
Dehorn young calves and goats with ease, safe any time of the year with the Rhinehart X30. Place dehorner over the horn and rotate to make sure the high temperature is applied evenly to base of horn. Horn bud will drop off in 4-6 wks. No blood loss or severe shock during or after dehorning. 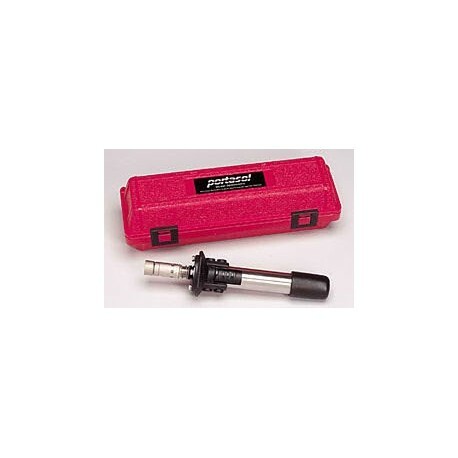 Tip dimensions inside 9/16", outside 13/16". 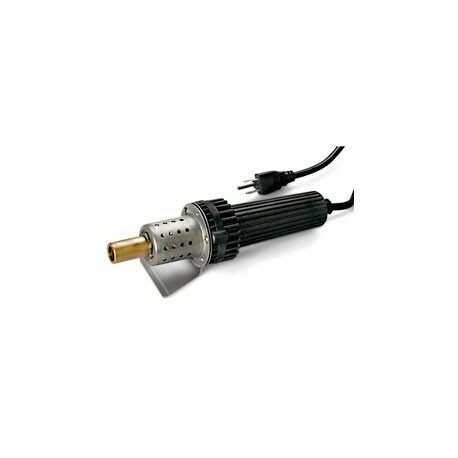 200watt, 100V AC. 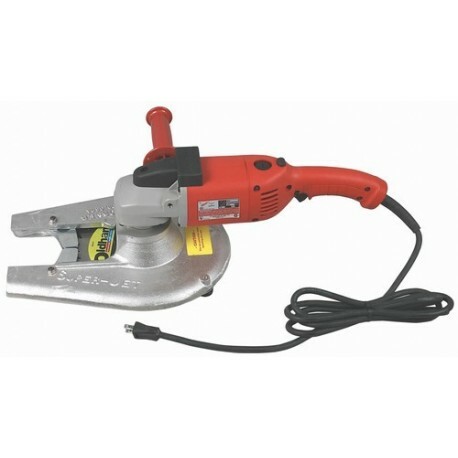 The Superjet Dehorning saw is truly a fine dehorner. It quickly severs horns without bruising or crushing. 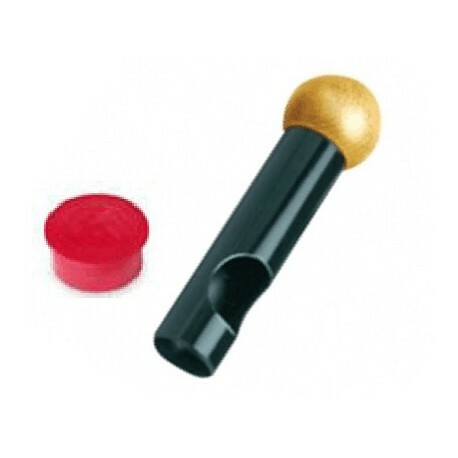 The horn is off before animal senses any pain.Opening the head for easy access to the arteries. Making it a most humane way to dehorn. Easy to use, ready to use, completely assembled. Dehorn young calves sheep and goats with ease, safe any time of the year. Place dehorner over the horn and rotate to make sure the high temperature is applied evenly to base of horn. Horn bud will drop off in 4-6 wks. 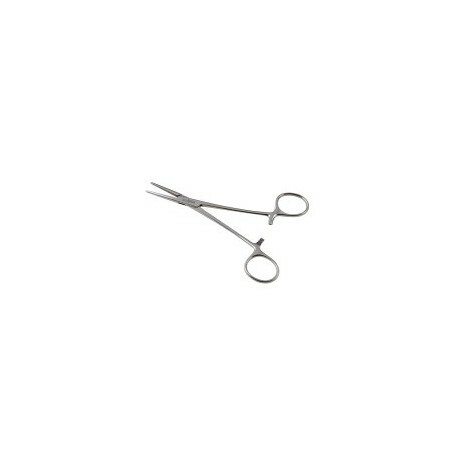 - Inside dimensions - 1", Outside D, 1 1/2"
2 sizes of dehorners in one. ID=15/16" O.D. 1 1/4" on one side. ID 3/4", O.D. 1" on the other. 110 volt w/thermos. Solid brass with heavy duty heating element stays hot enough to do both horns. Allow 15 minutes to heat up to proper temperature. 110 volt, 320 watts.